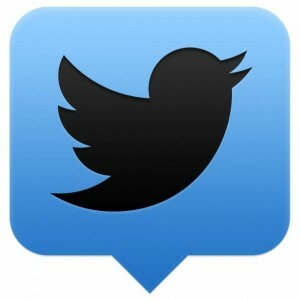 Twitter purchased TweetDeck in 2011 in an effort to halt third party Twitter clients, but by March 5th 2013 the company announced plans to cull TweetDeck’s features.On May 7th, Twitter will end support for TweetDeck on Android, iPhone, and Adobe AIR altogether. 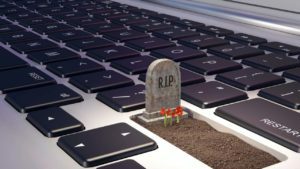 The Mac and Windows versions will continue to be supported for the time being, but their futures are uncertain. While TweetDeck will still remain a web app, this closure is a giant inconvenience to Android and iOS TweetDeck users. One of the major advantages of TweetDeck is the ability to log into multiple accounts and display multiple feeds at once. 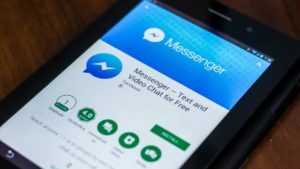 It also has support for connecting to Facebook. There are of course no TweetDeck clones, but there are plenty of potential replacements (some even have superior features). We’ll compare and contrast various Twitter clients on different platforms against TweetDeck to help find the best one for you. We’ll walk through some alternatives and help you choose the best one. TweetCaster is a mobile Twitter client with versions for Android, iPhone, and Windows Phone. The app has a free version that has a large ad banner and a $4.99 paid version that removes ads. The main similarity it shares with TweetDeck is support for multiple accounts. 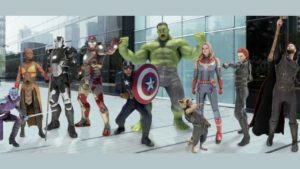 The interface uses large, easy to use icons, making it simple to switch from tweeting, lists, direct messages, and swap accounts. TweetCaster is very easy to use but lacks many of the advanced features within TweetDeck such as Facebook integration and multiple columns for direct messages or mentions. Twitterrific supports the iPhone, iPad, and Mac. It has a very clean and simple user interface. It contains the features found in other clients such as multiple account support, easy search, and trending topics. It does have a few unique features such as support with Apple’s VoiceOver, allowing dictated tweets or the ability to translate tweets into other languages. The iOS version has a low price of $2.99, but the Mac version is a bit pricey at $9.95. Despite the interesting features, the price tag could easily turn off TweetDeck users, since the app was free. 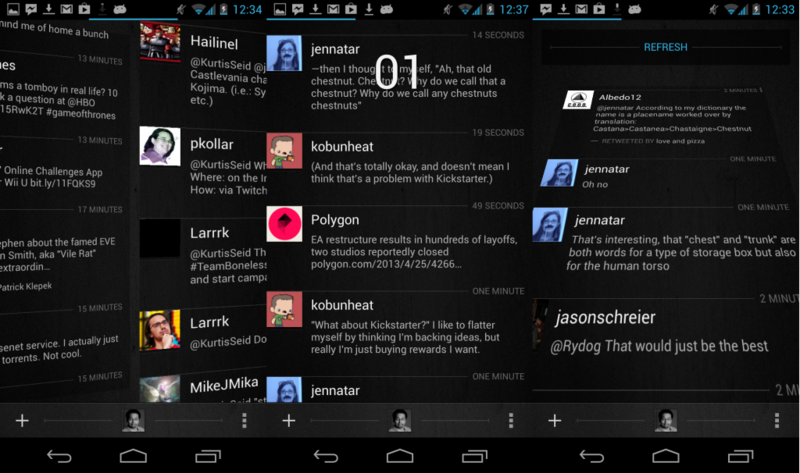 Carbon for Twitter is a free Twitter client for Android. 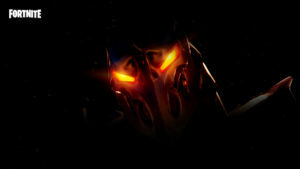 It’s notable for slick animations and gestures. For instance, you can swipe between different columns for tweets and mentions, during which the previous column will pin and allow you to peak at the next one. When you pull down to refresh tweets, a number will overlay at the top letting you know how many new tweets are in the feed. If you find yourself looking at tweets from several hours ago, you can two-finger swipe to quickly get back to the top of the list. You will receive different menus depending on how you tap on a tweet. Light taps will switch to a full menu to reply, while a long hold will bring up a overlay to retweet, quote or favorite. The UI is the most impressive part, but Carbon also features multiple account support and access to trending topics. On the downside, it lacks Facebook integration. Some power users that loved TweetDeck might see Carbon as flash without substance. 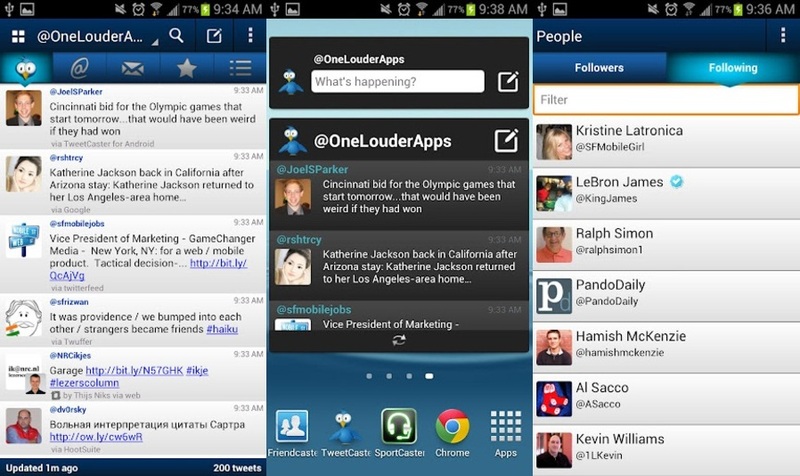 Echofon has separate apps for Twitter and Facebook and is available on Android, iPhone, and iPad. It previously supported Mac, but has been discontinued. The separation of Twitter and Facebook is a strange contrast from TweetDeck, which rolls both services into a single app. 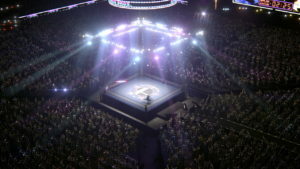 Each version can be downloaded for free with ads, or users can pay $4.99 for an ad free experience. 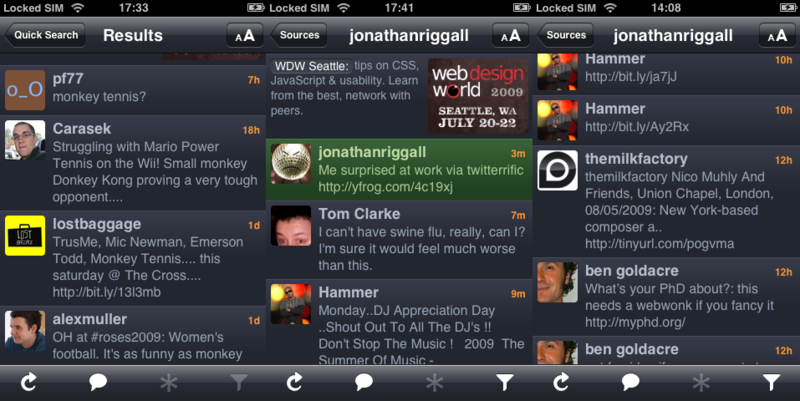 Echofon does at least support multiple profiles and makes it very easy to switch between them. It also places a mute button near a person’s name, instead of using the more detailed filters of TweetDeck. 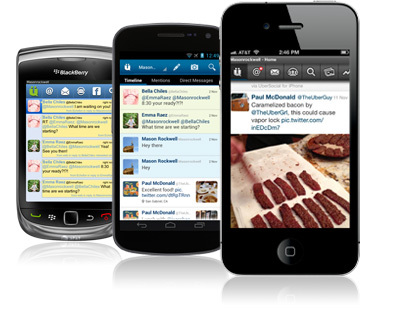 The powerful UberSocial is a Twitter app available for Android, iPhone, and Blackberry. Its interface is quite different than TweetDeck, instead relying on the “Uberbar”. Tapping a tweet will pull up a specialized menu with buttons to quickly reply, view profile, favorite, and retweet. 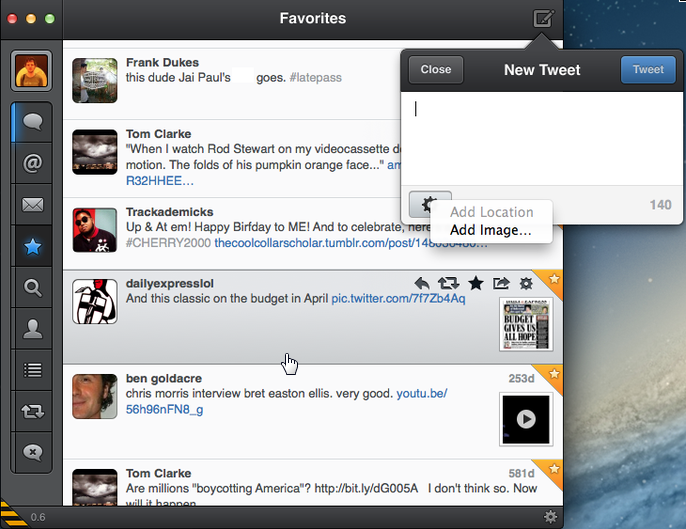 You can also swipe to reveal buttons for mentions, direct messages, search, and trending topics. It also supports opening links from Instagram, Facebook, and YouTube in their respective apps. 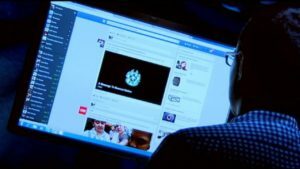 Its lack of full Facebook interaction could put off power users. 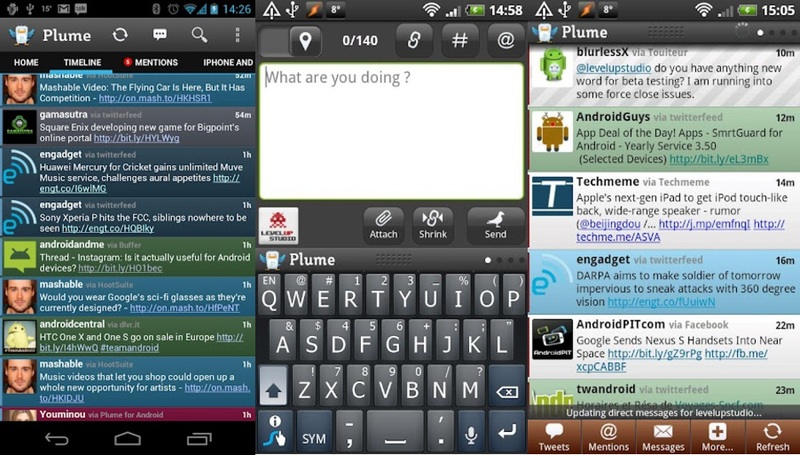 Plume is a free Android Twitter client that has multi-account support and features a ton of customization. The standout feature is its ability to combine all of your Twitter accounts into a single feed. 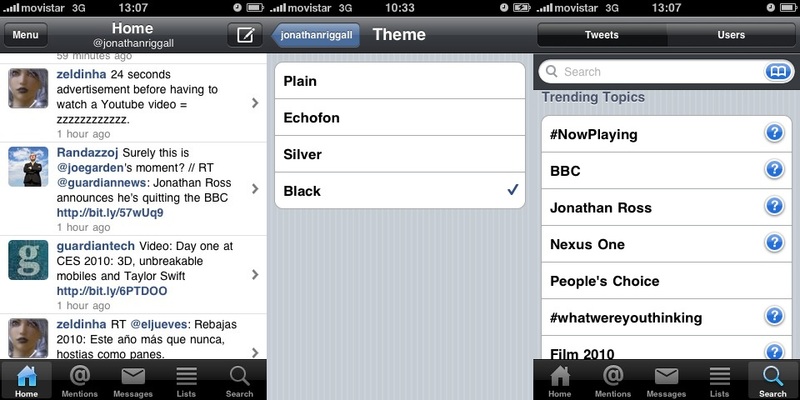 You can change the color for nearly everything from the app interface to the color of specific user’s tweets. Plume also features a built in link shortener, quick photo sharing with TwitPic, and the ability to mute specific hashtags or users. Similar to TweetDeck you can also add and change the order of feed columns. Plume has Facebook integration, though it is tucked away under the accounts option. It has full timeline integration allowing you to update your status, comment, and check pictures. If Facebook integration is a top priority then Plume is worth trying. Often touted as TweetDeck’s main rival, HootSuite is a social media management system that rolls support for many social networks including Twitter, LinkedIn, Facebook, Google+, Foursquare, WordPress and more. It has versions for the web, iPhone, iPad, and Android. It also includes an extensive amount of extensions for Chrome, Firefox, Click.to, and Ecquire. HootSuite can be used on the web for free, but has limited functionality such as a maximum of five social profiles and two RSS feeds. There are also paid subscriptions like the Pro version, which is priced at $9.99/month with unlimited profiles and features like Google Analytics integration. HootSuite contains aspects of TweetDeck such as custom streams, link shorteners, and support for different social media services, which make it an appealing alternative. Still, HootSuite requires a fee for more advanced features. TweetDeck with all of its features was always free. Since HootSuite features a ton of advanced features for paid users, it is best suited for power users and businesses. 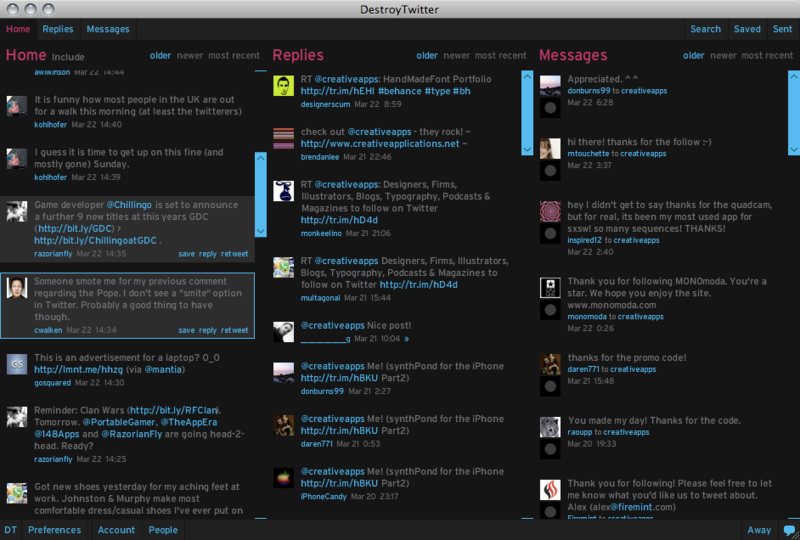 DestroyTwitter is an Adobe AIR based Twitter Client that shares some similarities with TweetDeck’s old Adobe AIR app. 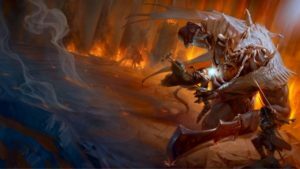 DestroyTwitter defaults to a single column app, so you may be hitting several buttons to switch between Twitter feeds, mentions, and direct messages. However, on larger screens there is an option to drag out and add multiple columns. DestroyTwitter also has a large number of options that are both similar and different than those in TweetDeck. You can adjust the sound, position, notifications, and even how often your feed refreshes. The official Modern UI app for Twitter might cross some peoples’ minds as a replacement for TweetDeck, but it’s too limited to be considered such. The Windows 8 version doesn’t have support for multiple accounts, which is the main appeal of TweetDeck. 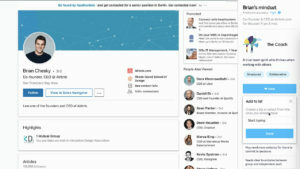 It does, however, contain a lot of supplementary features such as the detailed Discover page, which features profiles of people you may be interested in. Twitter for Windows 8 doesn’t utilize the entire screen, lacks a list of people you follow, and doesn’t autocomplete user names. It really isn’t a good pick for power users looking for the same amount of control or features found in TweetDeck. Tweetbot is only available for Mac and iOS. It costs $2.99 on mobile devices and a whooping $19.99 on Mac. 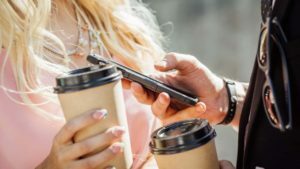 The price will be enough to put off many, even if the app does contain some interesting features. There are buttons to quickly manage lists of users, block retweets, and report spam. The most convenient feature is a button (or swipe on the mobile versions) to instantly display an entire conversation history. 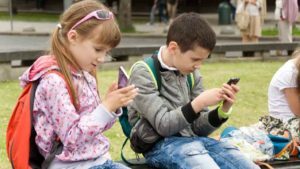 It even displays popular worldwide trends and attached media within tweets so users don’t have to be taken into a browser. A notable feature on Mac is the ability to switch between a single window, several windows, or display multiple columns. These features make it an interesting replacement for TweetDeck, but only if you’re not turned off by the high price tag. HootSuite has been one of TweetDeck’s top competitors and for good reasons. It has full integration with many services and has apps available on many different devices. While there is a free version, the paid upgrade offers insights from Google Analytics. This is an incredible package for power users. Plume is a great choice for those that need Facebook with their Twitter. The ability to combine multiple accounts into a single stream allows you to quickly access lots of information, especially if you like coloring tweets to make it easier to read. This is a great choice for those sticking with Android. DestroyTwitter wins a few points for being a great Adobe AIR Twitter client. 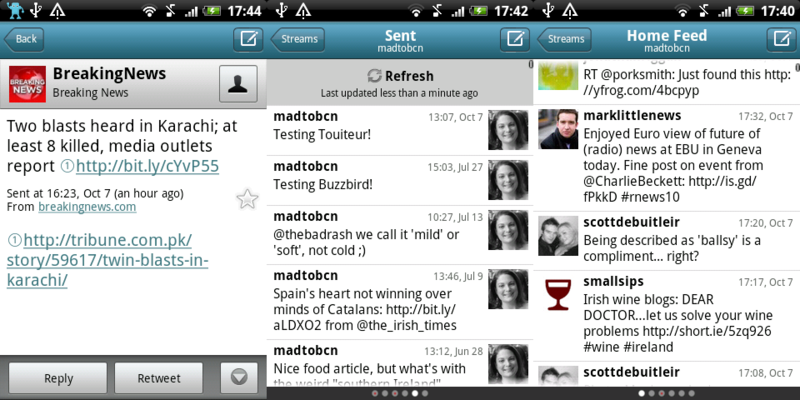 On large screens you can stretch the app to show several columns, allowing a look and feel similar to TweetDeck. 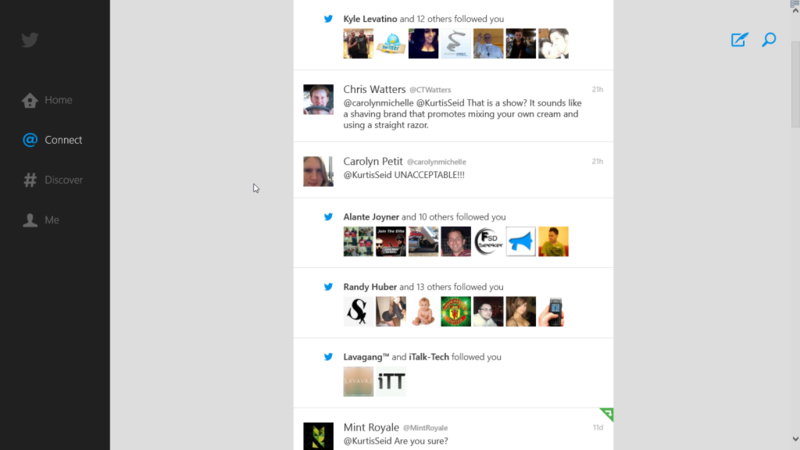 The amount of options for notifications, sounds, and refresh rate make DestroyTwitter very customizable. Carbon for Twitter doesn’t have integration with Facebook, making it a bad choice for power users. However, the interface is spectacular with smooth animations and overlays. It has many cool swipe motions which makes it fun to play with. Which one appeals to you most depends on your personal preferences. Do you need multiple account support or need complete integration with other social networks? Or are you looking for deeper customization than even TweetDeck had? We’ve given some great recommendations (or ones to avoid) now it’s your turn decide which is best for you.